• Remove tops from peppers and scrape out membranes and seeds. Set aside. • Melt butter in skillet over medium heat and add onions. Cook until soft, about 5 minutes. Add in garlic and cook for 1 additional minute. • Stir in black beans, cumin, chili powder, and garlic salt. Using the back of a fork, mash up about half of the black beans. Add in cilantro and salsa and cook for 2 more minutes. Remove from heat and stir in cooked rice. 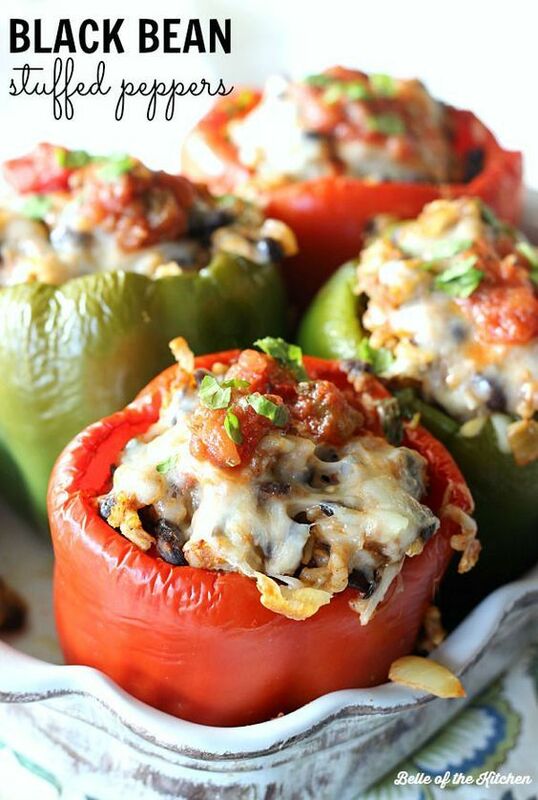 • Evenly fill the four prepared peppers with the rice and black bean mixture and set inside a baking dish. Top each pepper with a 1/4 cup of cheese. Bake in preheated oven for 30-40 minutes until peppers have softened and cheese is melted. Enjoy!